Should I Separate My Blog From My Main Website on a New Domain? 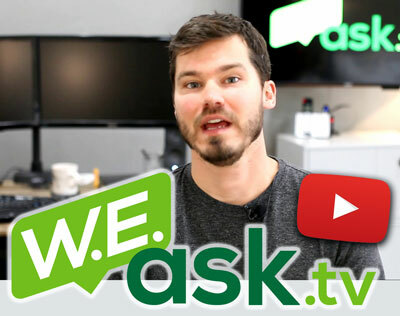 Welcome back to my Q&A series, WEask.tv. If you have a question, please submit it at webeminence.com/we-ask-tv through text, audio, or video. Today’s question comes from Brady Wood who operates a landscape maintenance and window cleaning business in Oklahoma City. You can learn all about his business at WoodlawnServices.com. Hey, what’s up, Ryan? This is Brady Wood with Woodlawn Services in Yukon, Oklahoma. I just wanted to reach out to you, this is something I’ve been thinking about for a while. Last year in 2018, we launched our company, and you helped us develop a website which served our business very well. We’re also on Instagram, Facebook, and several other social media sites to interact with our community and introduce who we are and ultimately gain new customers. Another thing I thought we could do going into 2019 is start blogging to introduce new keywords, driving more traffic to our website, and our name, Woodlawn Services, on the internet. I was wondering, what is the best way to develop a blog? Is that maybe a new website, where our regular domain is WoodlawnServices.com? Or is that developing a whole new website that is just dedicated to blogging, say, for instance, OklahomaLawnandLandscape.com and do a blog there and then direct people to our website from there? Or do we add a new tab to our regular website, our main website, and blog there? I was hoping you could point me in the right direction, possibly develop whatever plan we come up with. I always appreciate it, and I’ll talk to you soon. Thanks. This is a great question and one I get quite often. First of all, it’s a really smart idea to create a blog. Maybe in the future I’ll go more in-depth on exactly why creating a blog is such a smart move, but for now, just know that it’s definitely a wise move. Where Do I Put My Small Business Blog? For a small business owner that has just started a blog, this is a natural question. Where do I put my blog? Do I start a new site/domain or put it on my existing page? 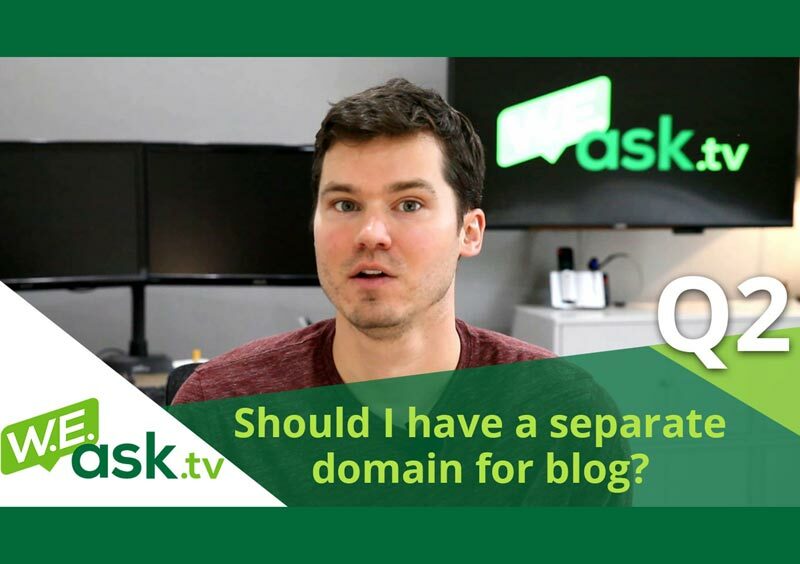 There may be some reasons to separate your blog on to an entirely separate domain. One reasons to do this would be if you planned on selling the blog in the future, but in most cases, I would suggest keeping your blog on your main site. You have one domain, one hosting account to log into. It keeps things simple and streamlined. Most small businesses are on a tight budget. You don’t want to have to pay for an entirely separate domain and hosting for a separate blog. 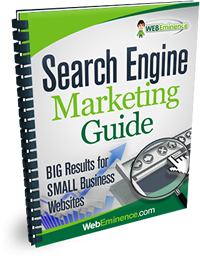 You want to make things easy for your visitors and keep them on your site for as long as possible. The last thing you need is confusion. Directing them to an entirely different site could lead to a disconnect between the blog content and your small business brand. How you rank in online searches is directly tied to your Domain Authority, which is a number out of 100, made popular by Moz.com. You can find your Domain Authority at Moz.com/link-explorer. WoodlawnServices.com is currently sitting at 3 out of 100, which is low, but common for a newer website. There are lots of things you can do to increase your Domain Authority including posting to social media and starting a blog to get more links and traffic. So, you’re already on the right track! Raising Domain Authority isn’t easy for a small business. It takes time and sometimes financial investment. Since it’s difficult to raise the authority on one domain, you don’t want to make it harder on yourself by having to worry about raising the domain authority on two domains! Don’t split your efforts. Keeping your blog within one domain can allow you to focus your efforts and give you a better chance at a higher ranking for your main website and your blog posts. I hope this answers your question and good luck with your blog! If you have your own question, head over to webeminence.com/we-ask-tv and post your question in text, audio, or video form.